My favorite holiday quote is "Jesus is the reason for the season." 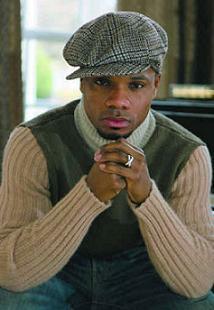 This was quote written by Kirk Franklin, and it is very inspirational. I think that a lot of people forget what Christmas is all about. I feel people shouldn’t even celebrate Christmas if they do not believe in Jesus, because that is the celebration. Christmas is not about getting presents, but it is that Jesus is the gift. His Birth is the reason for the celebration. So many people get stressed out at Christmas time, remembering all of the gifts that they have to get. Christmas is about celebrating that Jesus died on the cross for all of our sins. He virtually saved all of our lives and washed away our sin. Christmas reminds me that I should keep Him first in my life. He is the reason I have a life, and will have eternal life. He saved everyone’s life, and all you have to do is believe to receive eternal life. That is why it is so important for us to share Christmas day to celebrate Jesus' birth. It is definitely a holiday or season worth celebrating.